Gorgeous Blue Goldstone palmstones, measuring 50MM long, approximately. 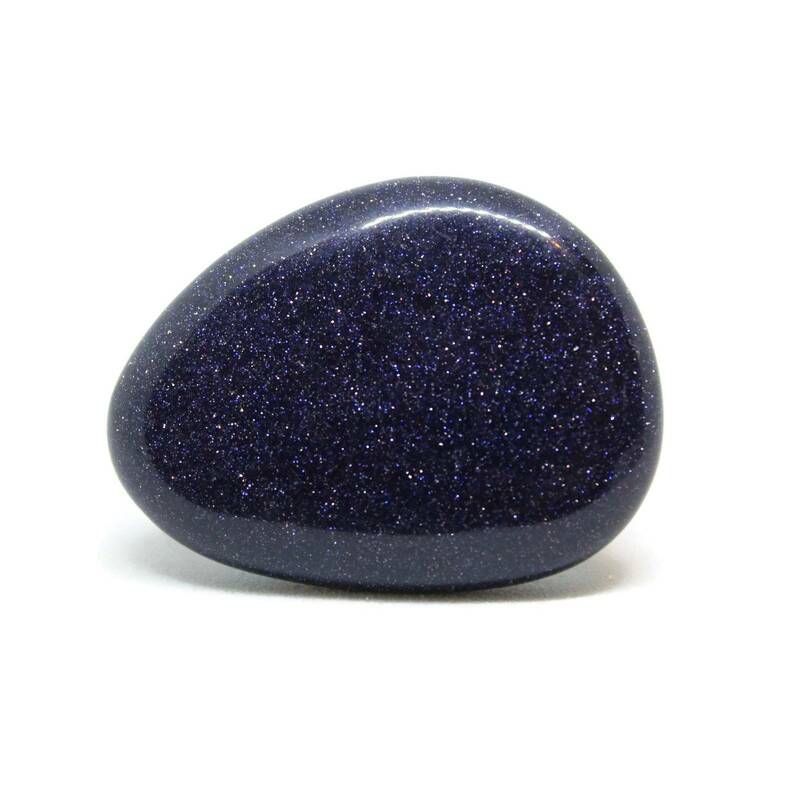 These Blue Goldstone palmstones are a lovely grade of the glass. The pieces all have that lovely shimmer we all know, like a beautiful night sky. These are approximately 5CM long by 3-4CM wide, and around 4MM thick. 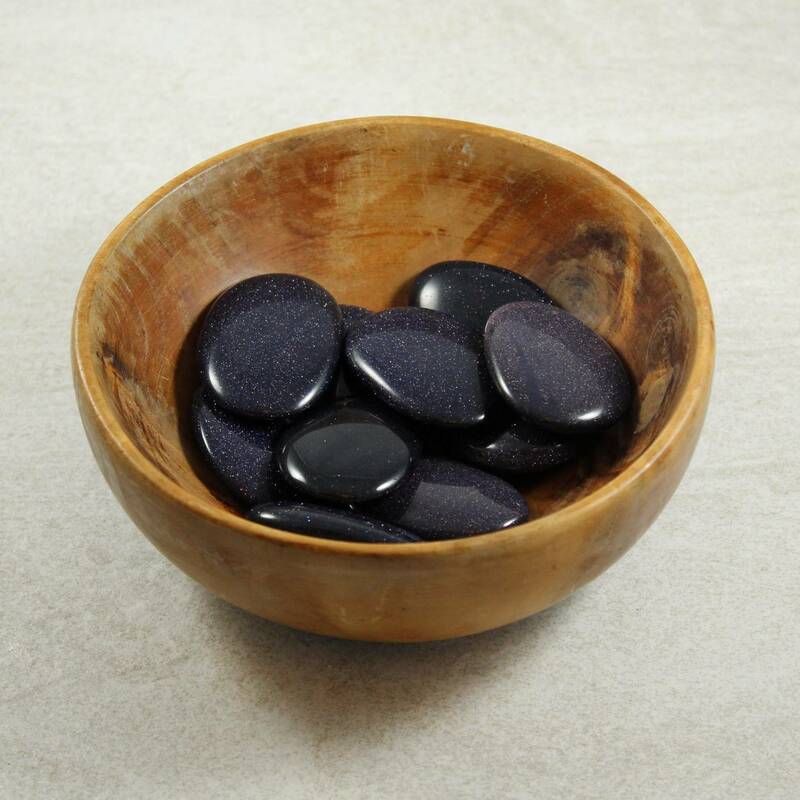 While they are intended for use as palmstones, they are attractive enough to make a nice addition to any collection, whether or not you believe in crystal healing. Like tumblestones, they look amazing when stored in a small glass bowl or vase. They would look great used as aquarium pebbles, or decorations for plant pots, etc. Goldstone is not a true gemstone, and is a man made glass, made by trapping flecks of cobalt or manganese inside the glass. 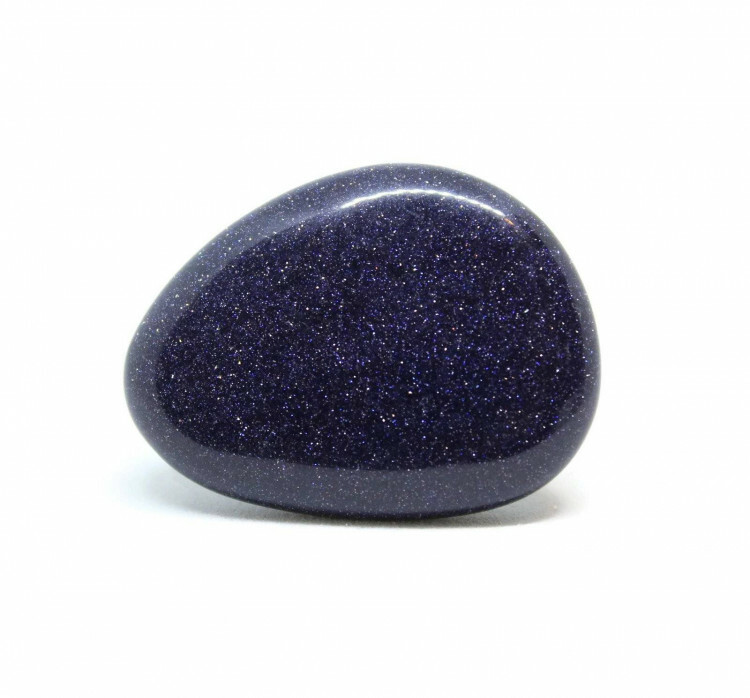 We sell a range of Blue Goldstone products, including tumblestones and carved products. Perfect, arrived quickly. 🙂 Love this stone!